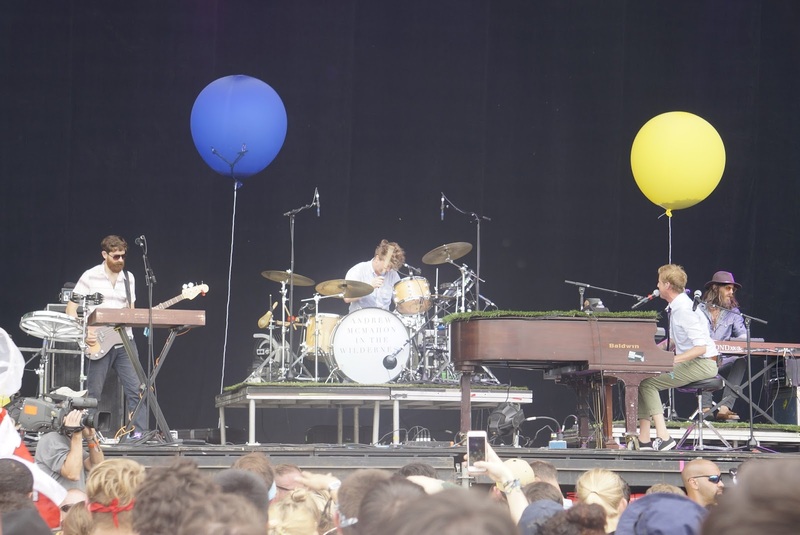 *Fixed the order of the setlist to match the order in which I heard the songs (20150711). 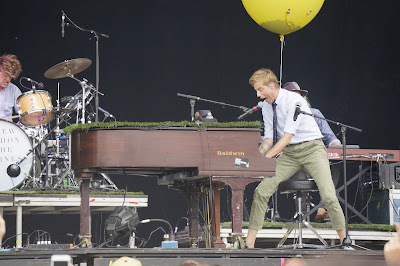 "Vocalist, pianist, and primary songwriter" for Something Corporate and Jack's Mannequin, Andrew McMahon in the Wilderness plays a mix of songs from Andrew McMahon's solo work, Something Corporate, Jack's Mannequin, and their 2014 self-titled debut album. 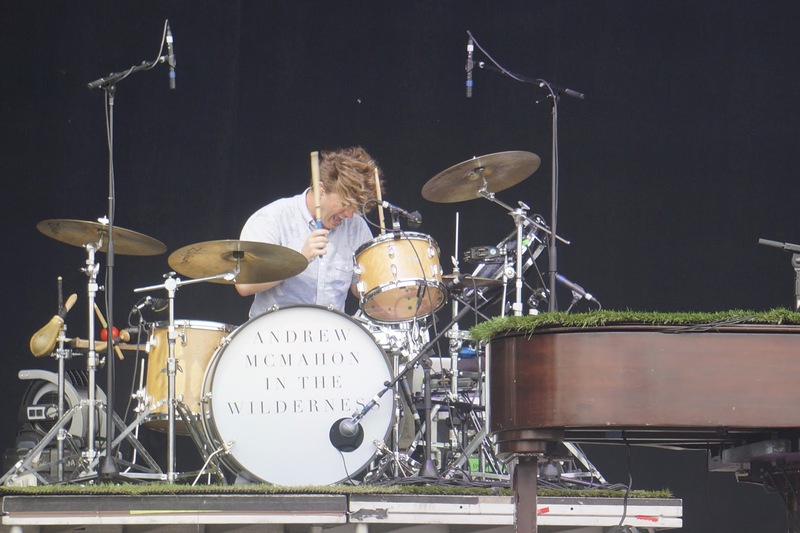 Among the various projects, I was quite familiar with Something Corporate (having heard of them through a friend circa 2004), slightly familiar with Jack's Mannequin, and neither familiar with McMahon's solo work nor Andrew McMahon in the Wilderness. 9) Canyon Moon -- I fell asleep during this song and woke up in time for 'I Woke Up in a Car'. 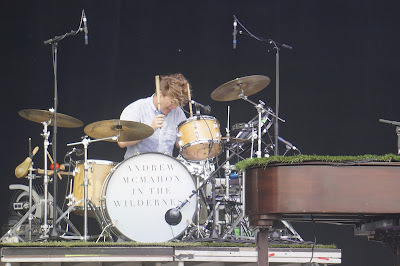 Having set up a nice place to relax by the trees, I walked over to the stage and listened up close for one or two songs and a handful of pictures. 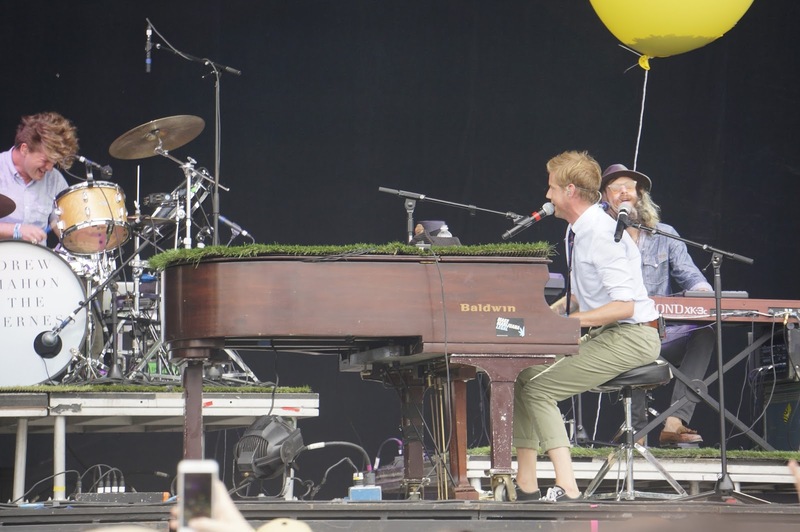 Watching Andrew McMahon perform was pretty cool. He's at the piano and has two mics set up, one for him to sing while facing forward and one for him to sing while facing the audience. Unfortunately, I wasn't familiar with enough songs to fully enjoy the show.